Welcome to Provence! 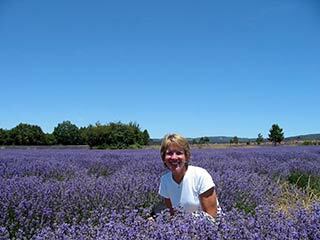 You will experience the authentic Provence with several days of enjoyment in a beautiful setting! You will be picked up at the Avignon TGV Station (arrival between 4:00 PM and 4:30 PM, please) and be driven to your guest house in Tavel, an authentic provençal mas (a mas is a traditional French farmhouse with amazing charm and character!). The mas is located in a splendid setting surrounded by the rural landscape of colorful Provence and the sounds of the cicadas. The magnificent rooms are exquisitely decorated in a provençal style. You’ll do a cooking course followed by dinner (drinks included). With this experience, you’ll quickly discover the scents and spirit of the Provençal home kitchen. Your meal will be made with fresh fruits and vegetables that have been grown in the unique beauty and sunlight of Provence. After a lovely breakfast at your mas, you’ll be off to discover the wines of the Rhône Valley. The drive will go through the vineyards with explanations about grape varieties and wine making. On Mondays and Thursdays, the tour will include stops at two different wineries that produce red, rosé and white wines (including Châteauneuf du Pape). 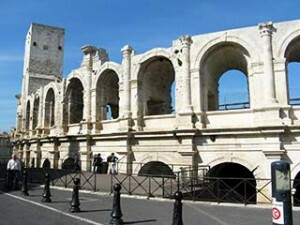 On Tuesdays, Wednesdays, Fridays, Saturdays, and Sundays, the tour will include the entrance ticket to the Roman Theater in Orange (free time to visit, audioguide included) and a wine-tasting in a cellar in Châteauneuf-du-Pape. 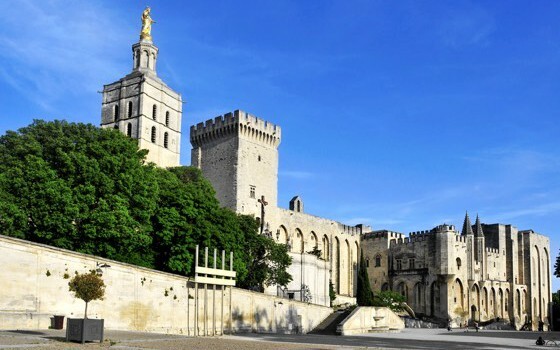 You will have the afternoon at leisure in Avignon to visit the Popes’ Palace, largest gothic style palace in Europe and the Pont d’Avignon, famous for the French song that will be familiar to anyone who studied French in high school (audio guide included in both monuments). Wine-tasting in a wine-shop in Avignon. 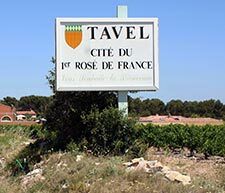 Then the day will take you back “home” to Tavel for dinner at the guest house and overnight in Tavel. Enjoy breakfast and then stroll around the streets of Tavel, a picturesque village, and experience wine-tasting in a Domaine that produces some of the greatest vintages of the Rhone Valley — Châteauneuf du Pape, Lirac, and Tavel. After breakfast, you will have a transfer to the Avignon TGV Station around 12:00 PM. Contact us to book this wonderful foodie stay in Provence!